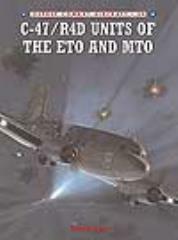 The C-47 units of the USAAF were an integral part of some of the most dramatic episodes of the European war: the airborne assaults in North Africa, Sicily, Normandy, southern France, Operation Market Garden and the crossing of the Rhine. The mass fratricide off Sicily, the night drop for D-Day and the Bastogne supply missions are also covered, along with more typical accounts of training, formation flying, airdrops and casualty evacuation missions. This book details an aircraft that remains a popular favorite and an acknowledged design classic, carrying out missions every bit as strategically important and as dramatic for the aircrew as those of the fighters and bombers.